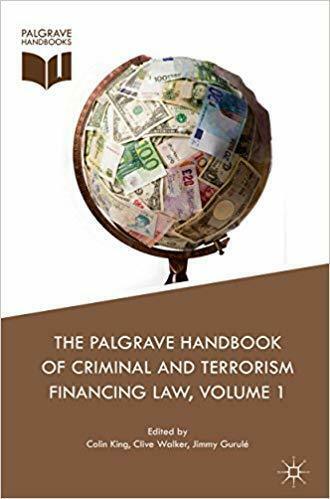 Join us at 17:00 on Thursday, 8 November 2018, to launch The Palgrave Handbook of Criminal and Terrorism Financing Law, with featured commentary from Kennedy Talbot and Professor David Ormerod. Kennedy Talbot, QC took Silk in February 2016. His principal practice areas are civil recovery and criminal confiscation, money laundering, government and police investigations and powers, medicines, legal professional privilege, and civil fraud and tracing. He is a joint author of Confiscation and the Proceeds of Crime, Administrative Court: Practice and Procedure, and a contributing editor of the White Book. Professor David Ormerod, QC was appointed Law Commissioner for criminal law with effect from 1 September 2010 and is due to remain in office until 2020. Professor Ormerod is Professor of Criminal Justice at University College London, having previously held chair appointments at Hull, Leeds, and Queen Mary. He is a practising barrister and bencher at Middle Temple. His current consultations include Anti-Money Laundering and the SARs Regime. The book launch will also include an introduction to The Palgrave Handbook from its distinguished editors. Colin King is Reader in Law and co-Founder of the Crime Research Centre, University of Sussex, UK, and was Academic Fellow of The Honourable Society of the Inner Temple from 2014-2017. Clive Walker is Professor Emeritus of Criminal Justice Studies at the University of Leeds, UK. He was awarded an LLD degree in 2015 and was appointed Queen’s Counsel (Hon) in 2016. Jimmy Gurulé is Professor at Notre Dame Law School, USA. He has also worked in public enforcement positions including as Under Secretary for Enforcement, U.S. Department of the Treasury. A reception with wine and snacks will follow. The Notre Dame London Global Gateway is located near Trafalgar Square at 1-4 Suffolk Street, London, SW1Y 4HG.